CBD Oil Review rates Pure CBD Vapors with five stars because it qualifies for the Quality, Safety, Charity, Mission & Innovation Badges. A five-star company, Pure CBD Vapors offers countless high-quality cannabinoid-related items from companies like Vape Bright, Curavape, Blue Moon, iPuff, Hemplucid, iHempCBD, Entourage, and Medusa — one is sure to find their favorite brand here. Their testimonials section is wonderful for those looking to understand the ins and outs of different oils and e-liquids. As an added bonus, every product carried on Pure CBD Vapor’s website has undergone laboratory testing — a huge relief for conscious consumers. 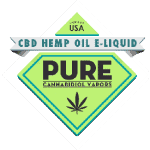 Pure CBD Vapors is just about as good as it gets for an all-in-one marketplace in the hemp/cannabinoid world. There's something here for both novices and connoisseurs alike, with prices ranging from $19 to $350, and doses/serving sizes to match. Pure CBD Vapors claim that every single product sold on their site is lab tested for purity; however, considering they are more or less a marketplace, many of the products carried on their site may only have Certificates of Analysis for safety upon request, or may require consumers to request documentation from a particular brand themselves. Pure CBD Vapors has dedicated a portion of their site to videos of customer testimonials, wherein customers discuss the pros and cons of their various oils and e-liquids. These could be a great way to get an authentic idea of what the masses think and feel about some of the biggest names in the hemp CBD world. Just a few of the big names offered on Pure CBD's online store include iPuff, Blue Moon, Vape Bright, iHempCBD, Medusa, Entourage, Curavape, and Hemplucid. However, Pure CBD Vapors’ main claim to fame is their heretofore unparalleled product selection. Oftentimes large online stores have great deal of muck to sort through; that's not the case here, as each page is stocked with quality items. Variety is the spice of life – and this is one of the best places to find it when it comes to all things CBD! As an added bonus, Pure CBD Vapors supports NORML in the ongoing effort to reform marijuana laws nationwide. Pure CBD Vapors offers a plethora of high-quality items on its abundantly stocked marketplace. Certificates of Analysis to prove laboratory testing are available for each product upon request. Pure CBD Vapors is committed to offering only the most effective products, all collected in one location for an easy and convenient CBD shopping experience. Pure CBD Vapors supports NORML in their ongoing efforts to reform marijuana laws across the nation. 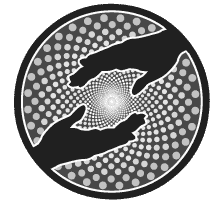 Pure CBD Vapors has done the hard work for us, sifting through the CBD product marketplace and offering only the best items for sale on their web store. I am looking for a very good CBD oil that does not contain any THC! !